I got married once. Didn’t really want to, but we were having a baby, and he kept asking. We did have a great relationship as boyfriend and girlfriend, and yes we were having a baby, so really, everything was perfect. married names, maiden names, which one? I am not against marriage exactly, I’m against marriage for myself. And the one thing that puts me over the top in the marriage thing is the name change. I detest/abhor/hate that. Fact is, words are not strong enough for my feelings on that. And I have absolutely no reason as to why I would feel so strongly about that. So after I married, my husband would ask me about changing my last name. I told him that I didn’t want to, that I already have a last name, so I don’t need his. But apparently because of our different last names, people assumed we were not married, and he didn’t really like this. I suppose I can understand this. depending on the married name, maybe you want it, or not! So I change my last name, but I was really not liking this. Granted, changing it from Finland to Henderson certainly made it easier, I didn’t have to spell out Henderson all the time. But it just didn’t sit well with me. And I found myself not wanting to say my new last name. It’s his last name, not mine!! 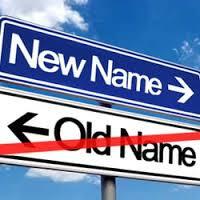 So I have given this much thought over the years, and this name change thing has very negative historic meanings. In the old days, when women married men, and took their last name, it was because there were actually considered the man’s property, with no identity of their own. When the hateful slave trade occurred, the slaves were bought and owned and identified by the last name of the land owner who purchased them. With our Native Americans (and First Nations) they too somehow were identified with the white man and the natives last names were named after white man’s first names. Well, I don’t want any part of that. I have my last name back, finally, and that in itself has been a stupid and ridiculous hassle. One ID place actually wanted a copy of my divorce document, and I said that if I didn’t have to show you a marriage certificate then I sure don’t have to show you a divorce certificate. It was actually harder to switch back to my maiden name, than to switch over to a married name. It shouldn’t be like that. Having said all that, I knew with a woman, who was a teacher, with the last name of Campbell. She married and changed her name, to Head. (Here’s my homework, Mrs. Head – no thanks!). An entire family changed its last name, to Hope, from Hore. No kidding, so they can be some compelling reasons to change – or not. Great post on divorce and the division of property and children. 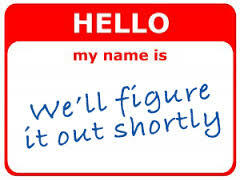 Here’s a great article with women telling why they didn’t change their name.